Listen to Lord John Krebs talk about badgers and the culls. 'The Life Scientific' broadcast BBC Radio 4 Tuesday 21 May 2013. Probably the most authoritative report on badgers and bTB is by the Independent Scientific Review Group chaired by Professor John Krebs, which was published on 16 December 1997. Much of the content of Krebs has now been challenged by prominent scientists but, with the proposed slaughter of badgers in Somerset, Gloucestershire and other counties during 2016, one would assume that this document would be easily accessible online from DEFRA. But no, it does not appear to be there. In the National Archives, the Government response can be found but the Report is not alongside, This, therefore, only gives one side of the story. Also interesting is the response to a Freedom of Information request in 2011. "Unfortunately the complete Krebs Report is not on the Defra website so I am unable to send you a link to it. The reason I cannot send you a copy of the complete report is because the report has a file size of 52MB whilst the maximum the Defra email system can handle is 5MB. You may be able to find a copy of the report in a library near you, larger libraries in particular may have a copy. If you send Defra your postal address a copy of the report will be copied to a CD and sent to you." Things may have moved on in technology but this statement is rather odd. Certainly the report has 196 pages but the size is only 4.23MB (zipped) or 4.61MB (pdf), well within their 5MB email attachment size. On B-R-A-V-E you will find both the Krebs Report (please download, 196 pages too big to publish outright) and the Government response. The Krebs Report is a 4.23MB download so, for convenience, it is zipped. It is quicker to download this way; then you will have the option to open or save the pdf file to your PC (recommended). The Krebs Report has been downloaded times. 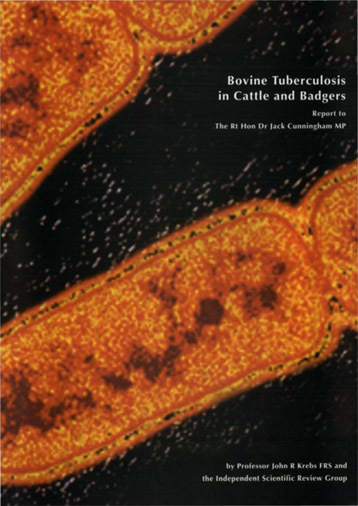 "To review the incidence of tuberculosis in cattle and badgers and assess the scientific evidence for links between them; to take account of EU policies on reducing and eliminating the incidence of tuberculosis in cattle; to take account of any risk to the human population; and accordingly to review, in the light of the scientific evidence, present Government policy on badgers and tuberculosis and to make recommendations". 2. Professor Krebs was assisted in his review by Professor Roy Anderson FRS, Professor Ivan Morrison, Professor Douglas Young, Professor Tim Clutton-Brock FRS, and Dr Christl Donnelly, as well as by two research assistants. 3. The Government is most grateful for the vigour, and rigour with which Professor Krebs and his Team have tackled their remit. It believes that their report represents the best available scientific advice across this area. It follows that the Government is disposed to accept their recommendations in principle, subject to further consideration of the public expenditure, legal and practical implications. Further details of the Government's response to individual recommendations are set out below. 7. The current policy, known as the "interim strategy", involves the removal and culling of badgers from certain farms. These are farms where there are cases of bovine TB, and where, following an investigation, it is presumed that there is no other cause of the disease than infection from badgers. Notwithstanding the limited badger culling under the "interim strategy", the annual incidence of bovine TB has been increasing in South West England since the late 1980s. In addition, the disease has been spreading to areas where there is no recent history of infection in the West Midlands and South Wales. The number of herds with outbreaks in Great Britain increased from 125 in 1991 to 471 in 1996. 8. 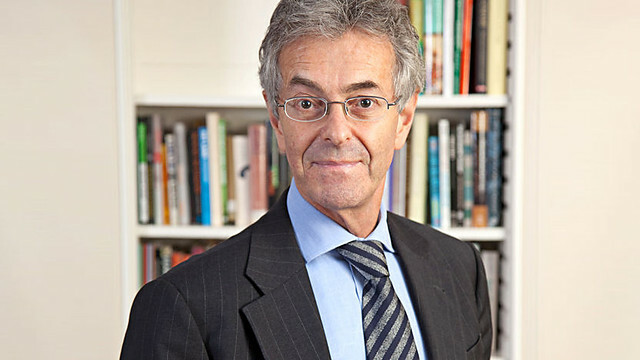 Professor Krebs is not the first chairman of a committee which has looked into the links between bovine tuberculosis and badgers. He was preceded by Lord Zuckerman (1980) and Professor Dunnet (1986). This is evidence of the intractability of the problem. 9. Professor Krebs' Team points out that although there is substantial evidence for an association between TB infection in badgers and cattle, the evidence that badgers transmit TB to cattle in the natural situation is all indirect. Moreover, even though the sum of evidence strongly supports the view that badgers are a cause of bovine TB outbreaks, there has been no proper experimental study to enable firm conclusions to be drawn about the effectiveness of badger culling. The report therefore recommends that such a trial should be carried out (Chapter 7. Section 14. Recommendation B(i). 10. Outside the areas subject to the trial, it recommends that no badger culling should be undertaken (Recommendation B(ii)), because this is unlikely to add to the information gained from the experiment. The Government accepts this recommendation, pending the results of the culling trial (see paragraphs 12-15 below). The "interim strategy" will therefore be replaced with a "no culling strategy" outside the areas subject to the experiment. However, there will also be further work on improved husbandry in these areas, provided this can be agreed with the farming industry (see paragraphs 16-17 below). 11. This "no culling" policy will apply from now on. However, there are a number of badger removal operations which have already begun under the existing " interim strategy". The Government will, resources permitting, take through to a conclusion those operations which have already been started. 12. The Team recommends that a randomised block experiment be put in place to determine the effectiveness of culling in reducing TB breakdowns in cattle herds (Recommendation B(i)). A minimum of 30 10km by 10km squares would be selected from areas which are bovine TB 'hot-spots' ie where there have been large numbers of outbreaks in the recent past. 10 of these would be randomly assigned to a " proactive" strategy of culling of all badgers. A further 10 areas would be randomly assigned to a " reactive" strategy of culling of badgers if there have been cattle TB cases which appear to be associated with badgers. This " reactive" strategy would be an enhanced version of the current " interim" strategy: all of the social groups of badgers with access to the farm where there had been cattle TB would be removed. A final 10 areas would be randomly assigned to a "no culling" strategy. 13. The Government agrees that unless a policy trial of this sort is undertaken, it will not be established with certainty whether culling of badgers influences bovine TB cases; nor, even if it does, whether badger culling is cost effective, and which culling strategy is the more effective. It is therefore favourably disposed to Recommendation B(i), subject to examining in more detail the public expenditure, legal and practical implications of the form of trial recommended. It would expect staff in the MAFF Wildlife Unit currently involved in badger culling to be redeployed to assist with the trial if this goes ahead in the form envisaged. 14. The Government also agrees with Professor Krebs that such a trial should start as soon as is practicable, subject to culling beginning at times of year when the number oflactating sow badgers is minimised (see paragraph 15(c) below). (a) B(i)a that an independent Expert Group be formed to oversee the trial. The Government accepts this recommendation, and will form this Group as soon as possible. The Expert Group will press on with work on detailed design of the trial, but the trial will not begin until after the end of the consultation referred to in paragraph 4. (b) B(i)b that there should be an estimate of recolonisation times for setts in areas subject to the " reactive" and " proactive" strategies. The Government agrees that better information on recolonisation times would be useful and will consider how this might be done with the expert group. (c) B(i)c that lactating sow badgers should be culled in the "reactive" and " proactive" trial areas. Under the " interim strategy", such sow badgers are spared, because culling such badgers will also inevitably lead to the death of their cubs. The Team has concluded that the effectiveness of the interim strategy is undermined by failure to remove lactating sows. The Government accepts that culling of such badgers across the country as a whole would be undesirable on welfare grounds. However, it agrees that not culling such badgers in the "reactive" and "proactive" trial areas would reduce the power of the experiment. On these grounds, the Government is inclined to accept the report's recommendation here, but will seek as far as is possible to undertake culling at times of year when the number oflactating sow badgers is minimised. (d) B(i)d that further measures should be taken to enhance the efficiency of badger removal operations. The Government agrees on the need to avoid delays in carrying out such operations, and will consider whether more can be done within resource constraints. It will also examine how farmers might take a greater part in monitoring badgers and preparing for culling, without compromising badger welfare. 16. The Team suggests that improved husbandry methods by cattle farmers may play an important role in reducing bovine TB outbreaks. In particular, it recommends (B(iii)) that MAFF should work with the farming industry to evaluate the effect of different husbandry methods, with the industry taking the lead and primary responsibility for implementation, and MAFF providing advice and determining any incentives that might be provided. 17. The Government has for some time been issuing advice to farmers on keeping badgers and cattle apart. It agrees with Professor Krebs that this advice has not always been heeded, and that farmers should be encouraged to take ownership of this issue. The Government will pursue discussions with the farming industry on establishing an experimental comparison of different husbandry methods. Such an experimental comparison is likely to have to take place outside the areas selected for the culling experiment, to avoid compromising the latter. It will be important for the industry to take the lead here, but the Government will make available advice from MAFF and the independent Expert Group which will be established to oversee the culling policy trial. 19. The Team recommends extending the use of integrative modelling in this area (recommendation D(i)). 21. The Government believes the report's recommendations here provide some very helpful suggestions for the research strategy in this area in the future. This is of course subject to the public expenditure implications, which will have to be looked at carefully. In addition, it will be important for the research programme to remain closely linked with policy. For example, as the Team recognises, development of a cattle vaccine, which could take 15 years, will need to be complemented by further work to enable infected animals to be distinguished from vaccinated animals. This is not possible using the currently available bovine tuberculosis skin test. If an effective vaccine is developed, there would also need to be discussions with the European Commission to seek amendments to current EU legislation so that properly vaccinated cattle would not be subject to trade restrictions. (b) the Government will in the meantime discuss with existing contractors how their research in the year April 1998 - March 1999 can take account of the Krebs Report. These discussions with contractors will begin urgently. 23. The Team recommends that MAFF should review the amount spent on research both in absolute terms and as a proportion of the total MAFF TB budget (recommendation D(v)). The Government will undertake such a review as part of the work leading to the putting in place of a new research programme by April 1999. The Government can make no commitments on future levels of expenditure on TB research in advance of that review. 24. The Krebs report draws attention to the mechanisms in New Zealand for contribution by the farming community to the costs of both bovine TB research and bovine TB control (again, recommendation D(v)). The Government is interested by the New Zealand example, and is sympathetic towards the principle of farmers being asked to make a financial contribution to control of a disease when the control programme exists primarily for their benefit. However the practical implications would have to be assessed carefully before such an approach could be adopted in this country. 25. The Team recommends there should be a better co-ordinated approach to research through partnerships with industry, universities and other funding agencies (recommendation D(iv)). There is already regular liaison between MAFF and other UK funders, but the Government will look to build closer links on to the existing arrangements and also to create closer links with international bovine TB research, notably that in New Zealand and the Republic of Ireland. 26. The Committee notes that in the past data collected by Government on bovine TB have not always been made available to researchers outside Government. It recognises that there have been welcome signs of a change of approach but seeks a clear commitment to accessibility of data in this area (recommendation D(ii)). 27. The Government is happy to give that commitment. It agrees with the principle that data collected using public money should be made available to facilitate research. There will of course be a need to respect legal requirements for example those on data protection and those relating to intellectual property rights, and to take account of resource constraints, but the Government believes this is possible within a general policy of accessibility of data. 28. Finally, the Team recommends that the incidence of bovine tuberculosis in humans should be kept under review in the light of the increasing incidence in cattle (recommendation D(vi)). The Government recognises this is a prudent measure even through the current incidence of bovine TB in humans is very low (only 32 confirmed cases in the UK in 1995, the majority of which were probably the result of reactivation of infection acquired in the past before current control measures such as milk pasteurisation had been introduced). The Government will continue to monitor M. bovis infections in humans as part of the routine surveillance of tuberculosis. 29. There are two related issues to be considered in the light of the report. 30. The first is the level of compensation for farmers. At the moment farmers whose cattle are slaughtered because they have bovine TB receive compensation equivalent to either 75% of the animal's market value, or 125% of the average monthly market price two months before valuation, whichever is the less. Cattle slaughtered because they have been in contact with affected animals are compensated at their full market value. 31. The Government recognises that like other diseases, bovine TB is liable to lead to disruption and economic losses. In the light of its provisional conclusions on the Team's report, the Government has considered requests for increasing compensation to farmers. It does not however see grounds for asking taxpayers to meet a larger share of farmers' losses. As the report points out, there are other means in place for ensuring that bovine TB does not pose a threat to public health. In the longer term, the Government will consider whether compensation should be maintained at the same level for those farmers whose husbandry practices take no account of the risk of bovine TB in their herds. 32. The second issue is the future of the Consultative Panel on Badgers and Tuberculosis, commonly known as the Badger Panel. The Panel brings together farming, conservation and animal welfare groups with an interest in badgers and bovine TB. It offers advice to Government. The Panel has not met since Professor Krebs began his work. 33. The Government does not believe that there will continue to be a role for the Badger Panel under the new arrangements. The only areas where badger culling takes place will be subject to the supervision of the Expert Group (paragraph 15 (a)). The Government will, of course, continue to consult as necessary on policy on badgers and bovine TB as it does on other policies where there is a wide public interest. 34. 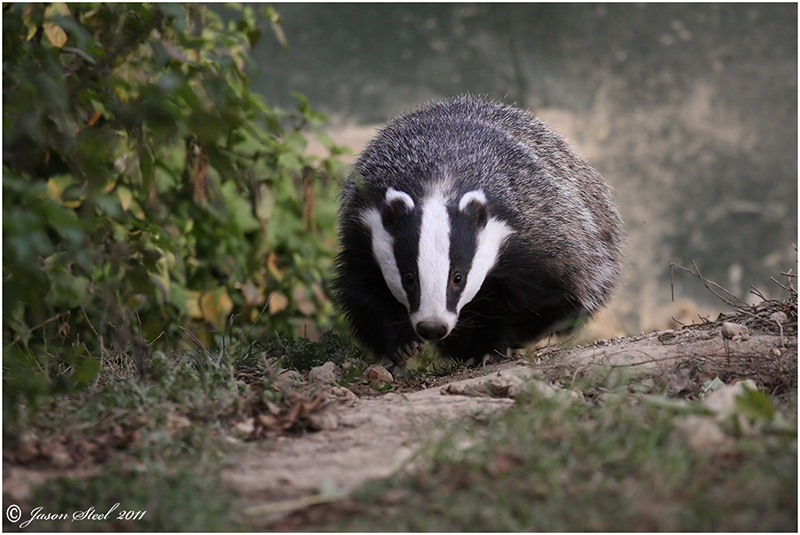 The Government believes that the Krebs Team's report provides a good basis for the further work needed to understand the links between badgers and bovine TB and to underpin policies in the longer term. It considers that in the meantime, there will be benefits both from abandoning the "interim strategy" and from a better focussed research programme which offers the prospect of a substantial reduction in disease. It accepts the Team's recommendations in principle, subject to further consideration of the public expenditure, legal and practical implications. The Government also believes that it is in the long term interests of both farmers and those concerned about badger conservation for this further work to be carried out: and in particular, for the proposed trial on the effects of badger culling to proceed as rapidly as possible. 35. It recognises that policy in this area has to proceed through a partnership of Government, farmers and conservation interests. It therefore looks forward to receiving comments by 27 February 1998 on how Professor Krebs' recommendations should be implemented.